This project developed over time as Jenni was the care giver for her mother. Encouraging her mother to remember the past, they explored family photo albums together. 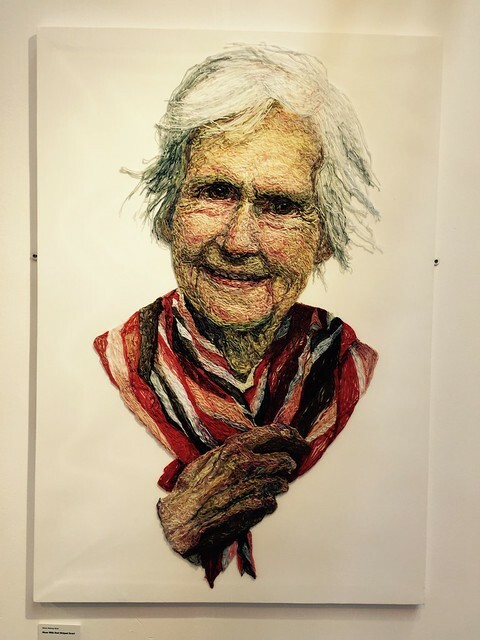 Using some of the photos, the large portraits, constructed using threads sewn through netting that was stretched over canvas, became a way for Jenni to explore the concept of aging and her mother’s gradual loss of memory. 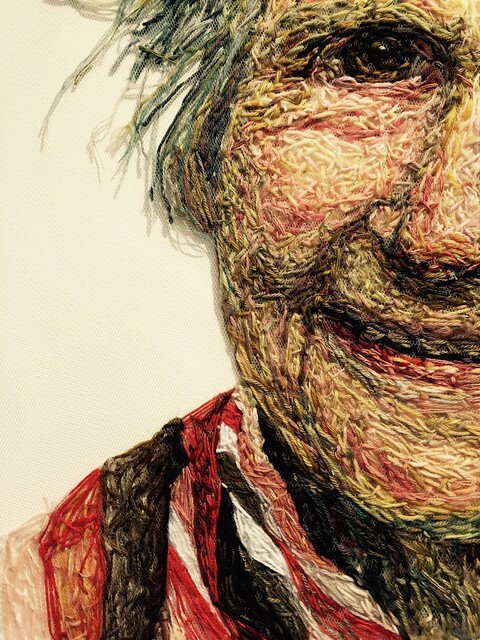 This is a closeup of the process. INCREDIBLE! i am amazed at how art and quilting is such great therapy. This is unbelievable!